Oreo needs to get to Bonita Spring, Fl. where she has been promised rehabilitation and placement in a permanent home. Little Oreo is about 4 months old. 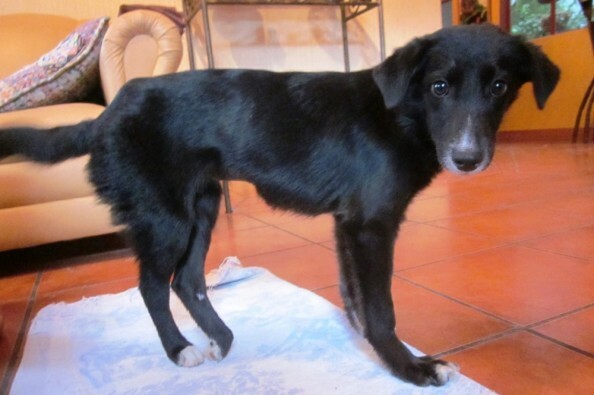 She was found limping around the farmers market in Panjachel, Lake Atitlan by an Ayuda volunteer. Oreo is suffering from 4 breaks to her pelvis. She needs specialized veterinary care which is out of our scope and beyond our available diagnostic equipment. Dr. Lynn from All Creatures Animal Hospital in Naples has agreed to provide the care and placement of Oreo if we can get her transport covered. $450 covers her health certificate for import to the USA, her airfare, kennel and transport from the Lake to the City. Please help us get Oreo to the care she needs! Ayuda is a registered association in Guatemala. We provide sterilizations, vaccinations, and parasite treatments to the many roaming, homeless and impoverished family dogs and cats living in the Lake Atitlan basin. Any money raised above the cost of travel for Oreo will be used to support our sterilization/vaccination/parasite tx clinics. Please visit our donations page to make a contribution for Oreo. Thank you.